Check out this rad new Thor: Ragnarok Japanese Theatrical One Sheet Movie Poster! 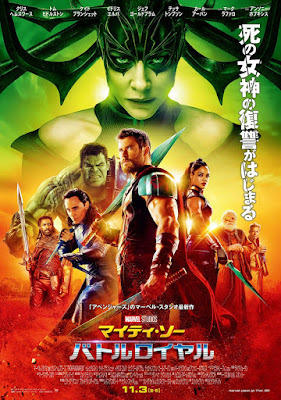 What The Blot loves about this one sheet is it gives us our first full body look at characters like Odin, Heimdall, and the Grandmaster on a poster. Plus, Hela looks fantastic! the photoshopping of this Marvel poster isn’t near as bad as past Marvel films either. What do you think!? !